For the True Alex Cross fans! This book is not for the casual reader of mysteries. This book is for the true Alex Cross fans. This book is a turning point in Alex Cross' life. Yes, there is a murder mystery (a darn good one), but it also focus on Alex Cross' personal life. If you are not an Alex Cross fan, you will probably not appreciate this book. But I found the story truly entertaining and guessing to the end who the killer was. Has a super ending. Enjoy!!!! What, Cross, again? You bet. Another outstanding thriller.Did it drag? Not a bit. Always interesting , always questioning. Complete and startling. Loved it. This book was great as far as the mystery of it was concenred. But far too often the writer took us down the path of exploring the personal life of Alex Cross. If you've read his previous books, I'm sure you'll agree a little character development goes along way -- let's face it we really like these books because of the unsolved mystery... not the tochy feely moments with his family. The mystery however, was first rate. I am a huge Patterson fan but found this read (listen) to be terribly slow. Barely any complexity and thought more than a handful of chapters were just irrelevant. Suggest you pass on this one all together unfortunately. Truly dissapointing. Too many murders and not enough twists and turns. I get it, there is a muderer! So..... maybe they thought by having 3 different narrators it would add to the book because it certainly does need something. Was the big deal trying to figure out whether the killer was a man or woman? Who cares? Why was that even an issue? I wanted to put it down so many times but i persevered. Now I'm wonder why I bothered. It never got any better. I read Patterson's "Lifeguard" and it was so much better than this one. Save your money. This one's a dud! I've been a big fan James Patterson's Alex Cross series, have read them all and enjoyed them all. However, I think it's time Mr. Patterson retired the old boy. I found the constant complaining about having to do his job (that he's so good at)and be with his family to be very tiresome. The whole family thing is far to much in the for-front, making the real story line almost a sub- plot. 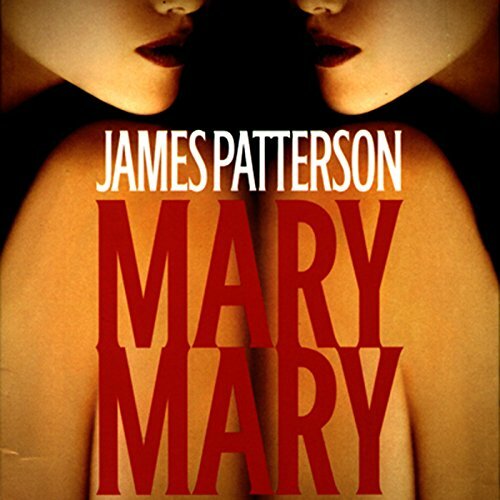 Yeah, I know Alex Cross is supposed to be a very sensitive guy but in Mary, Mary he is more like a homesick school boy. Alex, retire, go home and be with your family! I wasn't very impressed at all. I'm not sure that I like that we get to find out more about Alex's personal life than about the crimes. I found myself wanting to skip all the parts about his relationships, even though I usually enjoy those parts of the stories. There was just too much "I'm the coolest man in the world and all the women want me" and not enough murder mystery. It seems more time is spent discribing the people involved in his life than on the case at hand. If you have trouble sleeping this is a great book. I am a HUGE fan of Alex Cross. I enjoy when the author elaborates on Alex's personality, family, love life etc... and those were the only good parts in this book. The case was a flop. In the past I recommended this series to a lot of people, but I will not recommend this one. I would like less love story and more investigation. The story line was not developed and very boring.